Make the time to come see this new home. Bike to the beach and to downtown naples too! (only 1. 5 miles away) on a cul-de-sac street with almost no traffic, playing outside will bring back childhood memories and the safety of yesteryear. The front porch was made larger (with fans) so you can relax and watch the kids play. Enjoy lower insurance rates with a home built to the newest codes with impact glass hurricane windows and slider doors. Which, for personal safety, also deters window-shatter break-ins. As you enter the home through the foyer large enough for an upright piano, you will find 3 bedrooms+den (to be used for whatever you want!) exquisite quartz counter-tops and high ceilings give a modern vibe to the inviting open floor plan. The vent above the stove actually vents out the roof, allowing the chef in your life to cook the onions without waking up the whole house! The baths are gorgeous with a double shower in the master bath! The flooring throughout is a durable weatherproof material you will love (not laminate!) this home is next to a quiet memory care facility and very near gordon river greenway and baker/dog park, see attached map. Plenty of room for a pool! Make the time to come see this new home. Bike to the beach and to downtown naples too! (only 1. 5 miles away) on a cul-de-sac street with almost no traffic, playing outside will bring back childhood memories and the safety of yesteryear. The front porch was made larger (with fans) so you can relax and watch the kids play. Enjoy lower insurance rates with a home built to the newest codes with impact glass hurricane windows and slider doors. Which, for personal safety, also deters window-shatter break-ins. As you enter the home through the foyer large enough for an upright piano, you will find 3 bedrooms+den (to be used for whatever you want!) exquisite quartz counter-tops and high ceilings give a modern vibe to the inviting open floor plan. The vent above the stove actually vents out the roof, allowing the chef in your life to cook the garlic without waking up the whole house! The baths are gorgeous with a double shower in the master bath! The flooring throughout is a durable weatherproof material you will love (not laminate!) this home is next to a quiet memory care facility and very near gordon river greenway and baker/dog park, see attached map. Plenty of room for a pool! Location,location,location, this well kept 3 bedroom, 2 bath house located on radio rd and close to santa barbara in a quiet neighborhood with low hoa fees. Close to schools, shopping, restaurants and everything that naples has to offer. The split bedroom floor plan is perfect for family living. The home also features a 2 car garage, with a new roof in 2016 and perfectly well maintained inside, outside see list of all improvements, new equipments and appliances attached. This property sitting on a large lot with a oversize pool with a western view on the lake. This beautiful community. This is your opportunity to live a peaceful and quiet community in the hart of naples, rarely available with a pool on the lake. This property has been used only 3 monts a year. Call listing agent for all showings. H. 14357 - located in the heart of naples, this home offers it all! A wood fireplace, spacious screened-in heated pool that offers a southern exposure. This home is located on one of the less traveled streets in the community. 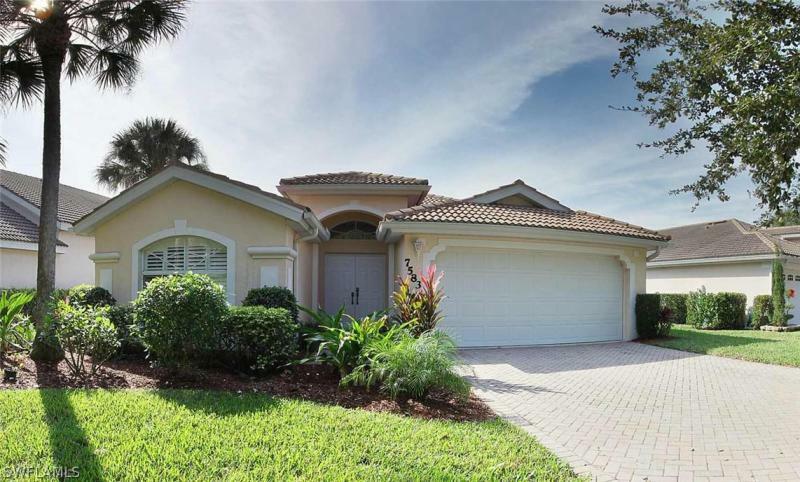 A great family neighborhood that offers a fantastic school district along with an impeccable location, just minutes from downtown 5th avenue old naples and a hop, skip & jump to naples pristine white sandy beaches, wow that's not all. You can walk to local stores and restaurants, this community also offers a boat ramp that leads into the gordon river and many more amenities. This home has just had a new roof replaced within the last 10 months also upgraded to a hurricane impact garage door, along with freshly painted exterior of home and partial interior. Kitchen has been updated with all new custom cabinetry, appliances and beautiful granite counter tops. Seller is also offering a home warranty service agreement that will transfer to new owner at closing. Don't miss out call for a showing today!